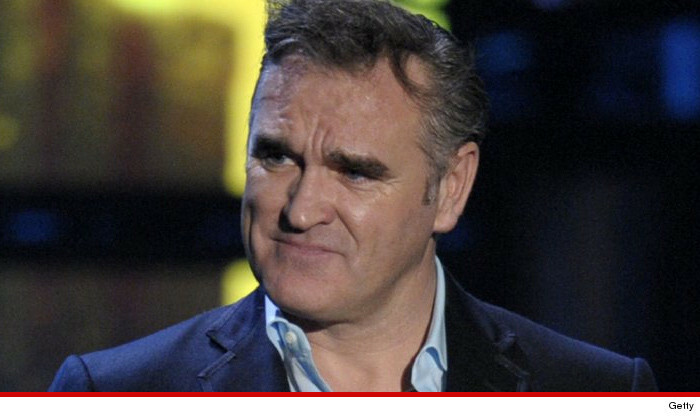 Morrissey wanted to turn his security guard into a thug ... to hurt a fan he despised, and the singer's manager wanted the guy killed ... so claims the bodyguard in a new lawsuit. Bradley Steyn claims Morrissey begged him to become his hired muscle ... after a San Jose show where he was bum rushed on stage by fans. Steyn signed on ... but claims it quickly became apparent Morrissey had more diabolical plans. According to Steyn ... Morrissey hated the guy who ran one of his fan websites -- Morrissey-solo.com -- which he felt invaded his personal life. Steyn claims in the suit Morrissey asked if there was a way the fan "could get hurt." Steyn claims right in front of Morrissey ... the tour manager asked if the fan "could be gotten rid of." Then they discussed how to get the fan's home address. Steyn says in the suit he rejected the overture ... and got fired the next day. We tried getting in touch with Morrissey ... so far, no luck.